How to reheat wings the right way? 2. Reheating by re-frying with the use of stovetop and a frying pan. 5. Reheating the wings by Deep-frying. I will teach you how to reheat wings in five different ways. Find out what method is convenient for you. If done correctly, you will discover that leftovers can be as delicious as newly cooked food. The oven is my favorite way to reheat wings. It is less effort, time, and results are outstanding. Preheat the oven first to 350 degrees. Meanwhile, take the chicken wings out from the fridge and set it aside at room temperature for at least ten minutes. Take the baking pan and line it with the aluminum foil. You can use any container that is suitable for the oven. I love the oven glass dish that I have been using for years now. 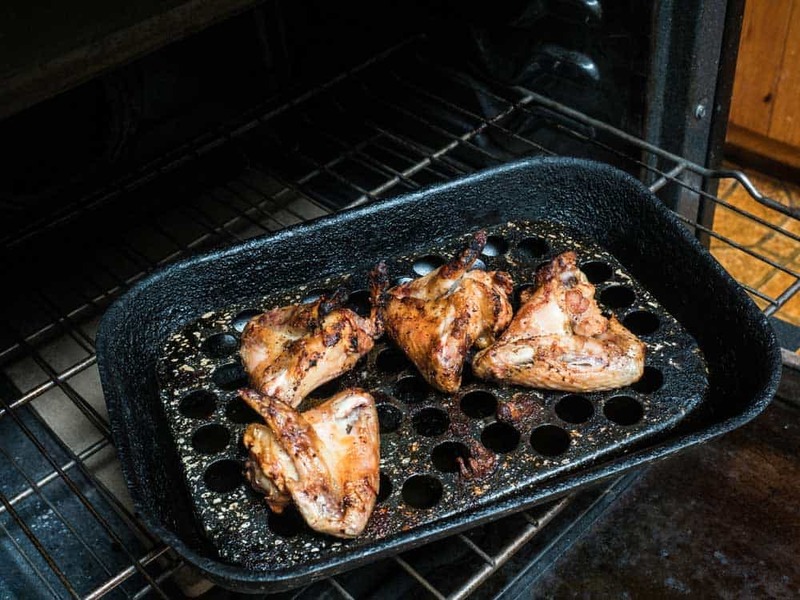 After preheating the oven, you can now place the wings inside the aluminum lined baking pan and place the pan inside the oven. Reheat it for around 15 minutes. If you see that the chicken already turned like the golden brown you have been dreaming of, take the crispy wings out from the oven and serve. Let it cool for five minutes, serve it and eat! Do you know that sprinkling a little bit of water to the chicken wings helps prevent it from drying out? I am meticulous when it comes to my heated wings; hence, I always keep an eye on it while reheating. For those who do not have an oven, your stovetop is your friend. 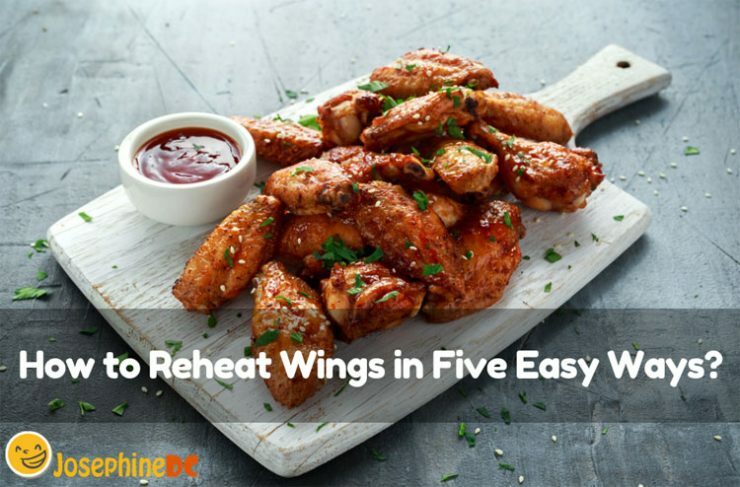 This method is the most common way of reheating wings. First is to take the wings from the wings and let it set aside for a few minutes at room temperature. Heat the frying pan on the stove on high heat. Add the oil in the frying pan and heat. Add the chicken wings to the pan. Remember to be careful when placing the wings inside the pan. The hot oil may splash into your skin. Fry the wings in a few minutes, making sure to turn it several times. Avoid placing too many wings in the pan. Otherwise, it would be hard for you to turn every piece, and the reheating will not be even. When the chicken already appears golden brown, it is back like freshly cooked. Put all pieces on a serving dish and let it cool before serving. When I am running out of time, and I need to grab a bite or two, I pick the microwave as the perfect choice to reheat wings. I do not need a long time to preheat, and it does its job quickly. However, check out how I do it to avoid ending up with soggy and dry food. Remember to use a microwave-safe container in doing so. Place damp paper towels to the line on the microwave plate or your container. The paper towels will absorb excess moisture and oil. You then place the leftover wings on the plate before putting another set of paper towels on top of the chicken wings. It will also help in preventing splatters all over the inside. Turn on the microwave to medium heat and heat the wings for a couple of minutes. If you check and it is still not enough, zap it again for another minute. The more wings inside, the longer it will take to reheat. If you are satisfied with the result after some evaluation, go on and feast. Remember, the ideal internal food temperature is 165 degrees F.
For deep-frying, I am showing you a video on how simple it is to follow. Occasionally, I throw my wings on the grill to reheat. This could happen during parties when the family gathers at home for a meal. Preparing the grill takes longer time than the rest of the reheating methods, so, I only apply it when there is already an ongoing grilling happening. You will not regret since, for me, anything grilled always comes out delicious especially when I place it on the grill together with other meat and vegetables. Using the aluminum foil is just optional. Some reheat the wings by putting it on top of the grill directly, but I do prefer wrapping it with aluminum foil first before placing it on the grill. However, this will make my wings extra crispy which is what my kids like. Hence, wrap it up (all of it) and grill. Go ahead grill and heat the wings on low heat in less than two minutes. Do not forget to turn over, so both sides are heated. Do it with the same amount of time. After the grilling, I suggest serving the wings while it is still warm/hot. Otherwise, you will end up reheating it one more time. 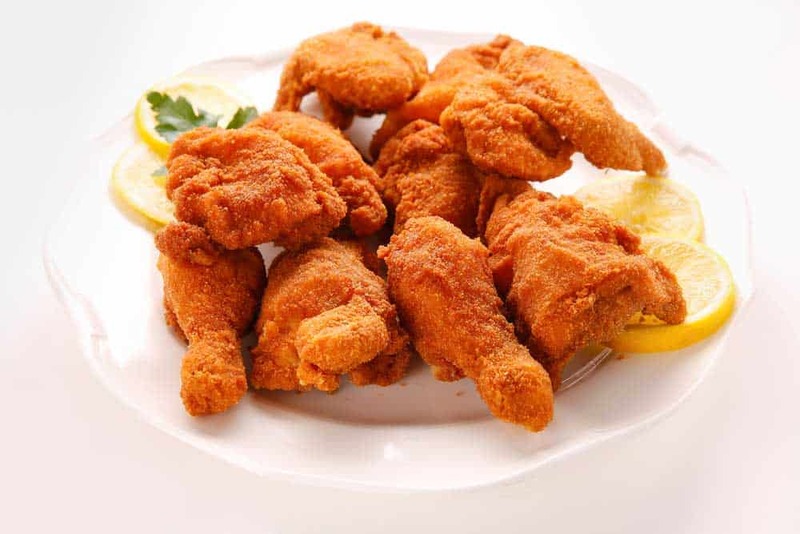 Chefs suggest that deep-frying is the best way to reheat wings to revive its crispiness and taste. However, I do not find this applicable to wings recipes that have a sauce with it. I agree with the deep-frying for great results, but I need to consider the amount of oil to use for reheating my leftovers. Hence, though this is a guarantee of success, I seldom choose this method because of practicality reasons. After taking out from the fridge, remember that the wings must be at room temperature before deep-frying. Do not ruin the skin by dropping it to boiling oil while still cold. Heat the oil in the pan at 350 degrees F.
Deep-fry the wings in three minutes. It would help to turn each one for even re-heating. I usually re-heat a bit longer when I want the wings to be extra crispy. However, when you do that, be observant and know when to take it out from the heat to prevent drying it out. Pull out all the wings from the pan and carefully place them in a wire rack to cool off and drip for a minute or two. You can use the aluminum foil to cover the wings that are done while still finishing the rest of the batch. It will not do harm to the wing if you spray or glaze a bit of oil to your wings. In fact, it will keep it from looking and tasting dry. I advise reheating a batch enough to the size of your pan. Maintain a sensible space in between. I prefer reheating them individually if it is just a few leftovers. A bit of salt does magic. A dash of it will liven up the taste of your reheat wings. 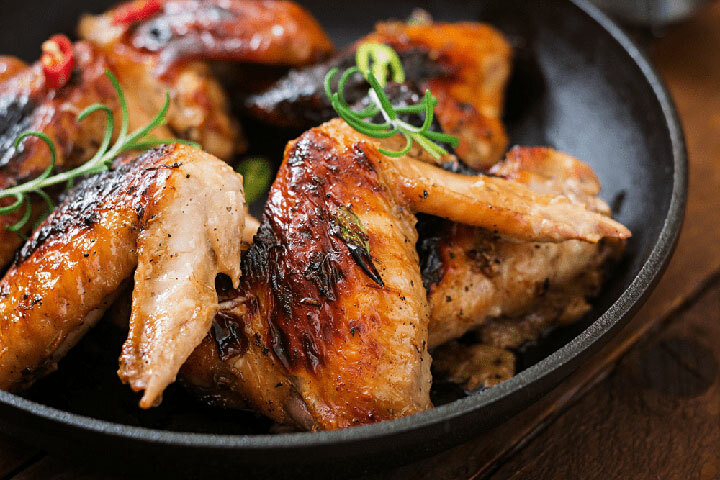 Always heat your wings to 167 degrees F food temperature to be safe. Make sure that you heat it all inside out. Now you know how to reheat wings. It is not that complicated to follow. Most of the methods are the usual way to cook or reheat food at home. Just keep in mind to prepare your wings the right way before doing the reheating and follow reheating instructions well. You will never look at wings leftover the same again. It is eating time! How was your chicken?